Prince has died at the age of 57, his publicist has confirmed. After reports claimed the artist – full name Prince Rogers Nelson – was found dead in the studio at his home in Chanhassen, Minnesota, his spokesperson Yvette Noel-Schure confirmed the news to the Associated Press. And Carver County Chief Deputy Jason Kamerud told US TV network Fox 9 that they responded to a medical call at 9.43am. The cause of death has not yet been revealed. Prince was hospitalised last week after his jet made an emergency landing in Moline, Illinois on Friday. He had performed in Atlanta, Georgia, on Friday night, suffering from the flu. Two previous shows in Atlanta were cancelled. 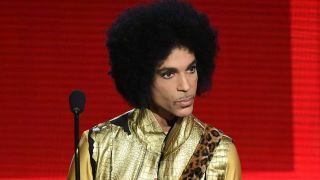 After being treated for three hours at Trinity Moline Hospital, the singer was released and went home to his Paisley Park estate in Minnesota. Prince was inducted into the Rock And Roll Hall Of Fame in 2004 in recognition of a career that included seven Grammy awards and a string of huge hit albums such as 1984’s Purple Rain and it’s predecessor 1999, released in 1982. In 2015, he released his final two albums – HITnRUN Phase One and HITnRUN Phase Two. Prince sold more than 100million records across the course of his career.